No matter where we live we often have busy, hectic schedules. What better place to unwind than in your very own home? 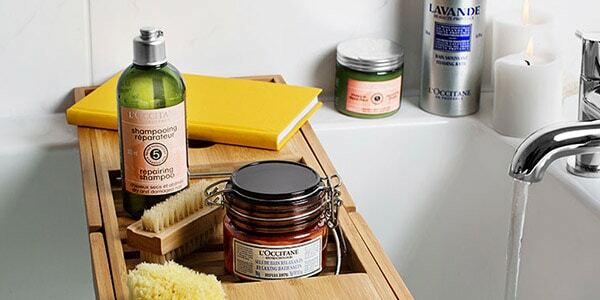 Why not give yourself a long-lasting spa ritual, right here, at home? You will emerge refreshed and empowered. 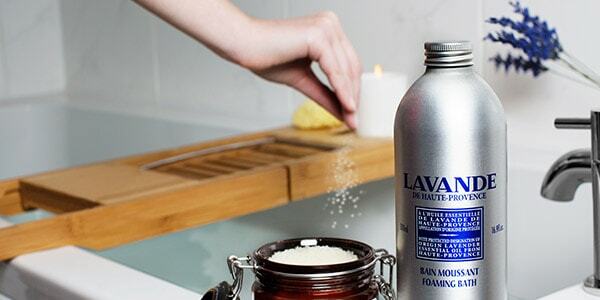 Here are a few tips for a sensorial, relaxing spa day at home. Discover a few tips to make your spa day go as smoothly as possible. Select a comfortable, non-restricting outfit and give your body a rest. You’re at home so there’s no need to dress up. Make sure you won’t be bothered: Start by checking that your phone is off and out of sight. Prepare a cold drink before a hot bath: The heat can get overwhelming very fast! Try a spice-infused water recipe with mint, apple and cinnamon to chase the gloomy days away. Let it brew in the refrigerator for an hour. Set your tools: Have fresh towels and all your beauty and bathing products at arm’s reach to avoid getting back out. Dim the lights: Light a Winter Forest Perfumed Candle or use a White Blossom Home Diffuser to create a relaxing, aromatherapy spa atmosphere. Bathing is wonderful for your skin, and if you do it right, you can reap many benefits. Make your bath a relaxing, aromatic haven: Whether you prefer silky water or a bubble bath, choose the texture that will delight your senses most. Sprinkle bath salts in the water to create a relaxing soak. We recommend Aromachologie Relaxing Bath Salts - a crystalised garden in a bottle! Like the feel of bubbles? Fill your tub with Lavender Foaming Bath and enjoy a generously foamy bath with the added bonus of the soothing scent of lavender. Time for a scrub! The best way to use your favorite body scrub is before you wash, on dry skin, or slightly dampened skin if you’re more sensitive. 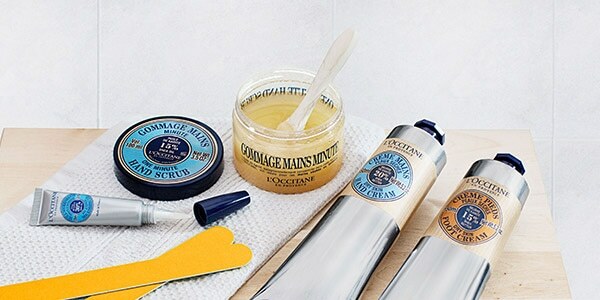 Looking for long-lasting moisturised skin? 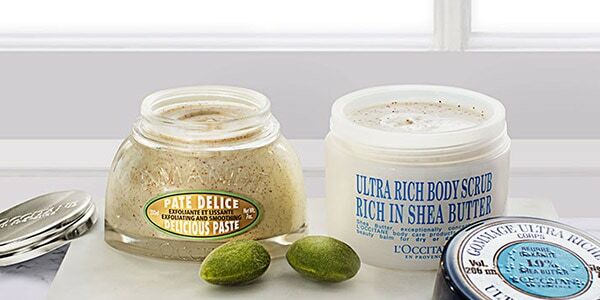 Go for Shea Butter Ultra Rich Body Scrub, a rich and creamy scrub with 10% Shea Butter that will pre-moisturise your skin as it gets rid of dead skin cells. If you feel like trying a more sensorial experience, Almond Delicious Paste is made for you! 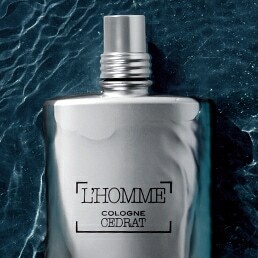 Let yourself smell its delicious scent and enjoy its unique paste-like texture and the silky finish of almond oil. Get into your bath and take your time to soak and relax, enjoying its aromatic scent for a while. Finish your ritual by picking your favorite shower gel to gently cleanse your body, and rinse with tepid water. Extra tip: Make sure to scrub twice a week, but no more: exfoliating too often may strain your skin. Did you know? 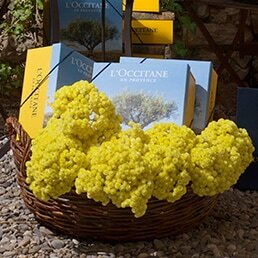 Most of L’Occitane’s scrubs use soluble (sugar, salt) or biodegradable (crushed almond shells, apricot kernel powder) particles, which won’t damage your skin and are environmentally friendly. Take care of your hair with a mask: Take time and indulge with Repairing Hair Mask to deeply moisturise and replenish your hair. Apply after squeezing excess water out of your hair, leave it on for 10 minutes and rinse. You can even wrap your hair in a towel to optimise the action of the mask. 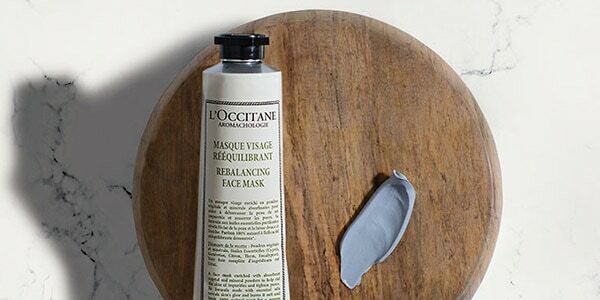 Give your face a rebalancing boost with a face mask. Formulated with essential oils and enriched with absorbent vegetal and mineral powders, Aromachologie Rebalancing Face Mask is the ideal way to get rid of skin impurities and tighten your pores. Should I apply my moisturiser right after bathing? YES. Moisturising after scrubbing and bathing is the best way to provide intense moisture – do it after every shower or bath. It’s very important in order to restore your skin’s hydrolipidic film, to protect your body and keep it moisturised. Nourish and comfort your skin with Shea Butter Ultra Rich Body Cream, a rich texture with 25% shea butter. 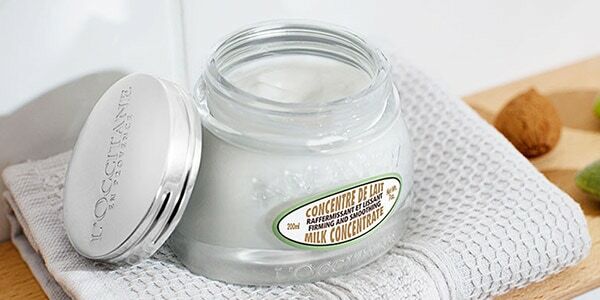 If you’d rather firm up and smooth your skin, try our indulgent Almond Milk Concentrate - a delightful firming cream with the light scent of almonds. Extra tip: While applying a body cream, take some time to release tension from your legs by giving yourself a leg massage. This will also help your skin fully absorb the cream. 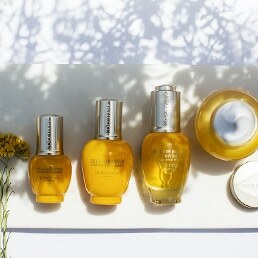 Finalise your spa ritual by giving your hands and feet a full reboot. To soothe your hands and feet in depth, follow this regimen. Once or twice a week, start by applying Shea Butter Ultra Rich Body Scrub to soften your feet while removing dead skin cells. Once your feet are all soaked up, nourish them with Shea Butter Foot Cream, which helps relieve the feeling of tired feet and gives the aromatic scent of Southern France lavender. Wash your hands and apply Shea Butter One Minute Hand Scrub. Massage gently on your hands for one minute, and then rinse off with lukewarm water, using a soft cloth or a body sponge. Take extra care of your hands: apply Shea Butter Nail Cuticle Nourishing Oil to help soften and nourish your nail cuticles for easier pushing back. Apply by gently massaging your fingers to help the formula penetrate more efficiently. Finish by moisturising your hands with Shea Butter Hand Cream. It will efficiently protect, nourish and comfort, leaving your skin smooth and hydrated. As your bath fills up, treat yourself to a few breathing exercises to unwind even before entering the bath. When you learn to take deep, slow breaths, your body will react in many positive ways as your muscles relax and let tensions go away. Establishing what you’re stressed about or where you’re tense before beginning to relax will help release those tensions. Still wondering why cucumber slices are a spa must-do? 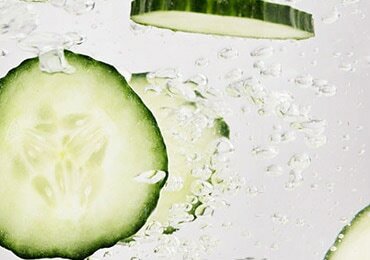 Cucumbers contain ascorbic acid and caffeic acid, which are both helpful to diminish water retention in the under-eye area. Also, cucumbers are very rich in water and their gel-like texture can withstand cold temperatures: they can therefore serve as a quick makeshift eye-decongestive – perfect to fight puffy eyes! If you only have 15 minutes, place your face over a mixing bowl of steaming hot water and throw a towel over your head to create a steam tent: all the steam will waft up to your face and open your pores. 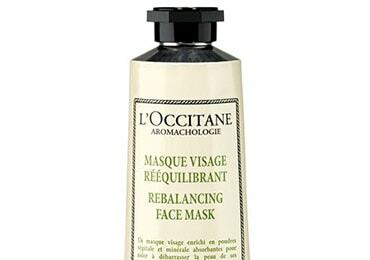 Apply Aromachologie Rebalancing Face Mask after steaming your face for maximum benefits. Let it sit for up to 10 minutes. Feel the face mask slowly cool your face and replenish your skin, and breathe. Rinse with tepid water. A good way to feel rebalanced, even when in a hurry!